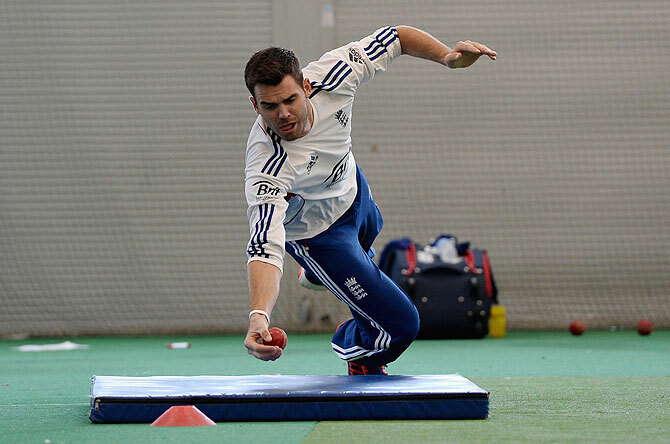 James Anderson once caused a minor stir by posing naked for a gay lifestyle magazine -- a role reversal of sorts for a bowler who spends much of his time laying bare the technical deficiencies of the world's leading batsmen. England's bowling attack in Australia could function without any of their other pacemen but their leader Anderson has unique skills that set him apart and his absence would be a major blow. From an inconsistent 20-year-old international debutant to a man on the verge of overtaking one of England's greaTest players as his country's highest wicket-taker, few cricketers have been transformed over the years like the Lancastrian. Anderson had played only a handful of one-day games before he was thrust on to the international scene as a genuine fast bowling threat in a 50-over match against Australia 11 years ago. He went on to make his Test debut against Zimbabwe the following May but his form blew hot and cold during the early years and he was far from being an automatic choice for England. Now, at the ripe age of 31, the quick has transformed himself into England's most consistent bowler and a master of his art in all conditions around the world. Anderson would probably rank top among all new-ball bowlers because of his ability to swing the red cherry both ways with precision. He is equally dangerous when the old leather sphere starts swinging in the reverse direction, an art perfected by only a few bowlers over the years. It is therefore not surprising that he is England's second highest wicket-taker in Tests, with 329 scalps, and keenly focused on chasing down Ian "Beefy" Botham's tally of 383. "Anderson is going to break all sorts of records," former England paceman Darren Gough told Reuters during the last Ashes series. "Jimmy, of all the bowlers I've seen with the new ball in his hand, is the best simply because he can bowl outswingers with little change of action. I can't remember anyone ever doing that before. "With Beefy I could tell from his action what sort of ball he was going to bowl. With Jimmy there's hardly any change, it's all down to his wrist action." 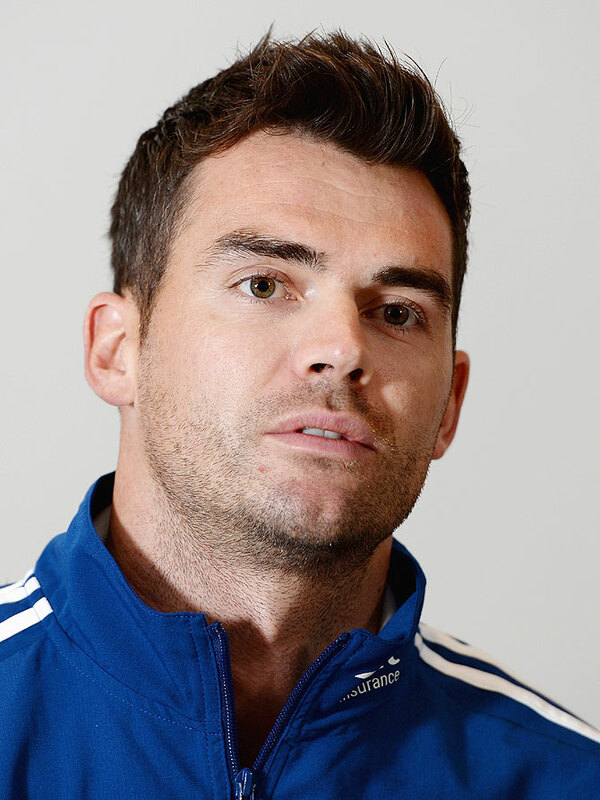 A man with a penchant for new and sometimes literally colourful hairstyles, Anderson was the first cricketer to appear naked in Britain's biggest-selling gay magazine when he posed for Attitude in 2010. 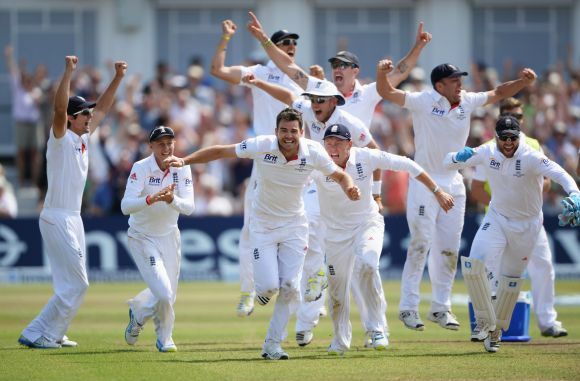 But if that might have exposed him to some choice sledging in the sometimes macho world of cricket, it did not seem to bother Anderson much as he devastated Australia with 24 wickets when England stormed to an Ashes victory later that year. 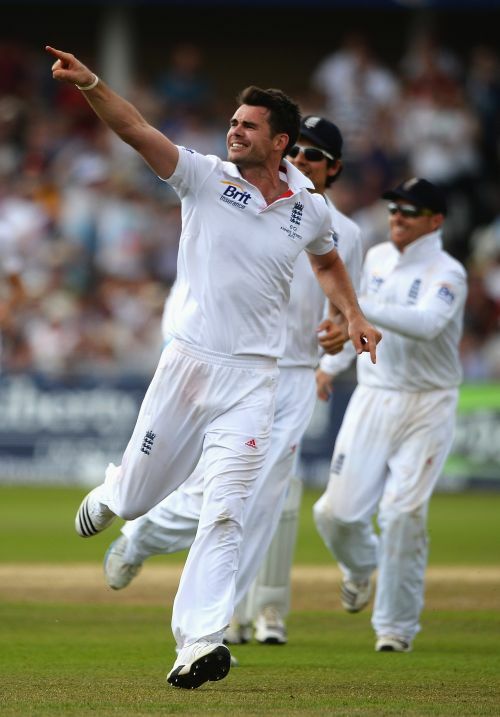 The last Ashes series at home this year also proved fruitful for Anderson, who scalped 22 wickets as England went on to win 3-0. His 12 wickets at an average of 30 on India's spin-friendly tracks also helped England earn their first Test series win in the country for 28 years in 2012. Anderson has tended to target the best opposition batsman and being the most successful bowler (nine dismissals in Tests) against the world's most prolific run-scorer, India's Sachin Tendulkar, speaks for itself. "Sachin's wicket was always a huge thing for the team and had such an effect not only on us but on India as well, so getting him out as many times as I have is something I will treasure for the rest of my days," he wrote in a recent column for the Daily Mail. "It is quite humbling to be the bowler who dismissed him more times in Tests than any other -- another reason for me to carry on pinching myself." Known for having too many off days in the early part of his career, Anderson is now rarely far from his best and he will once again be Alastair Cook's go-to man if England are in need of a wicket as they chase a fourth straight Ashes triumph. "Immensely impressive, he just seems to be able to turn up without much practice and just get into the swing of things," England batsman Ian Bell told reporters in Sydney last week. "We've seen it now, whatever conditions, India, Australia, South Africa he can just do it straight away. "He leads our attack very well and I'm sure he'll be passing on as much information to the younger guys as he can." Will Sachin follow in the footsteps of these cricket greats?